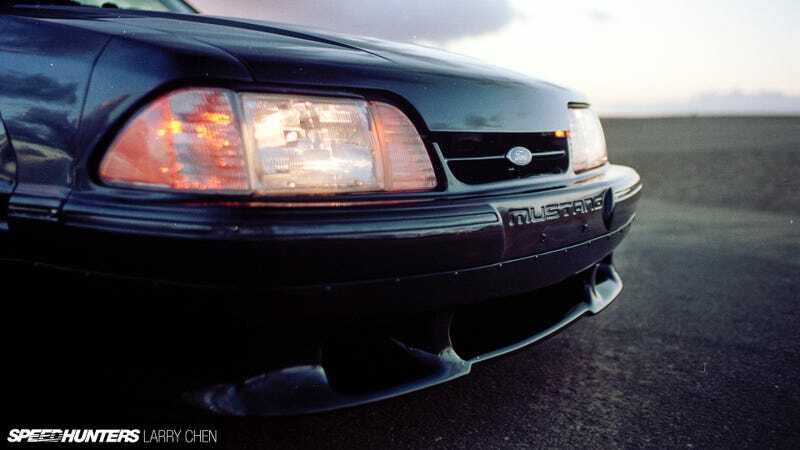 This is Matt Farah’s L.A.-canyon-spec Fox Body Ford Mustang, about as perfect as a 1980s Mustang can be. As is only appropriate, here it is shot by the inimitable Larry Chen using film equipment of the day. The Smoking Tire&apos;s Matt Farah&apos;s 1988 Fox Body Ford Mustang featured on Speedhunters. The whole thing is up on Speedhunters, and I don’t want to take any eyes away from that site. Head over there to see the whole thing shot on lovely Kodak Portra, off an old Nikon and a Leica. What Happens if You Crash One of Those Cars You&apos;re Testing?